Domestic and international factors are driving significant changes in imports and exports. With an appreciating currency and weakness in the eurozone, China experienced an export slowdown in March, despite gains made in February. Imports have declined in the face of sluggish GDP growth, which in the first quarter of 2015 was 7 percent, the slowest in six years. China’s trade surplus has hit a thirteen-month low, signaling that robustness in its trade regime is being checked by weak demand. One obstacle to China’s export growth is that the RMB, loosely pegged to the dollar and a basket of currencies, has appreciated alongside the dollar against the euro. This has made Chinese exports less attractive to Europeans and, coupled with Europe’s ongoing economic woes, has slowed Chinese exports to the eurozone. While Europe is said to be recovering from the debt crisis that has hobbled the region for years, its imports overall have remained at a relatively constant rate since 2011. Analysts are uncertain when the dollar will stop appreciating, with some predicting that the dollar will continue to rise into 2017. As long as China favors the dollar in its exchange rate regime and the dollar continues to appreciate, exports from China will continue to look expensive to Europe and other nations. Imports of some commodities into China have sagged due to slowing industrial production. Goods to be processed in China and exported to the rest of the world also pitched downward, as indicated by exports to Hong Kong, through which many processed goods flow. Chinese New Year occurred at the end of February, slowing economic activity around this period, but this does not fully account for the poor trade performance. U.S. exports to and imports from China decreased in February, falling by 14 percent and 8.7 percent, respectively. Imports of automobiles and auto parts from China fell by 22 percent. U.S. imports from China were down by 8 percent in March. 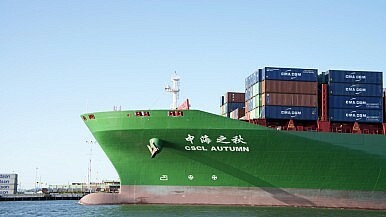 Japanese exports to China also slowed, contracting by 17.3 percent year on year in February and 24.8 percent in March. While it is a myth that China’s growth relies mainly on the production of exports, exports do contribute about 26 percent to China’s GDP growth, so that a slowdown in exports has a moderate to strong impact on GDP. The numbers directly impact GDP, and also generate anxiety among market makers about China’s economic future; for example, the Australian dollar fell almost 1.5 percent on China’s trade news, since China is a large consumer of Australia’s natural resources. Despite assurances by China’s leadership that China’s slower expansion is a healthy sign of the “New Normal,” the markets appear not to be fully convinced by this. China’s future hinges in large part on its restructuring agenda. As such, China is attempting to move up the export value chain, and has increased exports of technology-intensive goods such as smartphones and transportation vehicles. While most of China’s high-tech export products are assembled rather than fully produced in China, home-grown technology companies are being encouraged. High-technology manufacturing will, over time, result in higher-paid jobs, higher value of production and exports, and commercial innovation. This will hopefully increase China’s export value, in time. In the short run, until China’s economy bottoms out, Europe really rebounds, and the dollar slows its ascent, we may see more surprises in the trade figures. Beijing will no doubt be hoping they won’t be as shocking as they were this time around. In a reverse, the central bank is now having to intervene in support of its currency.